The A320neo aircraft was introduced as an upgrade to the highly advanced A320 product line. 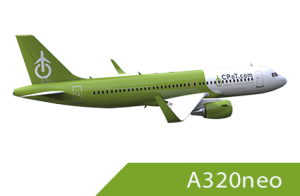 The A320neo provides an option for two new engine types that incorporate the newest technologies available. This course covers all of the A320neo aircraft systems to include instruction with either engine option in accordance with the manufacturer’s flight manual. This course is available in both the CFM-LEAP and PW engines. This program is designed with a study time of 32 Hours. This run time can be customized to meet your airline’s training footprint hours. Feel free to contact us about customizing this A320neo Type Rating course.